A passion for precision forging creates new horizons in metal technology. Cold/Warm forging realizes higher precision, greater strength, and improved wear resistance. Cold/Warm forging makes for a high production rate through material savings and requiring very little or no finishing work, and results in a significant reduction in cost. In the cold forging process, the workpiece is compressed in a mold at room temperature. 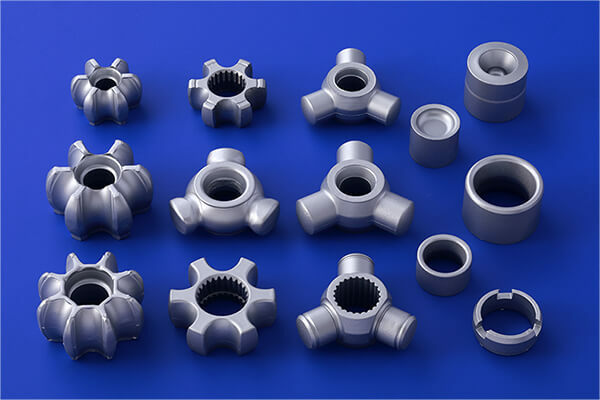 In the case of warm forging, the workpiece is compressed in a mold below the recrystallization temperature, and has the advantage of forming a more complicated shape than in the cold forging process. 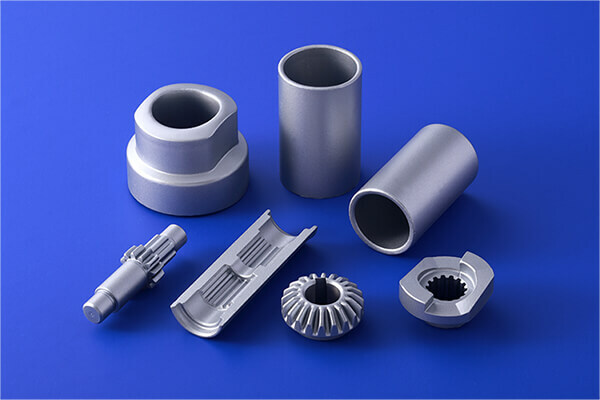 We have achieved greater precision in the mass production of auto parts such as CV joints (produced by enclosed die forging), as well as products having a longitudinal bore spline configuration, gears for hydraulic machinery, and various industrial instruments. 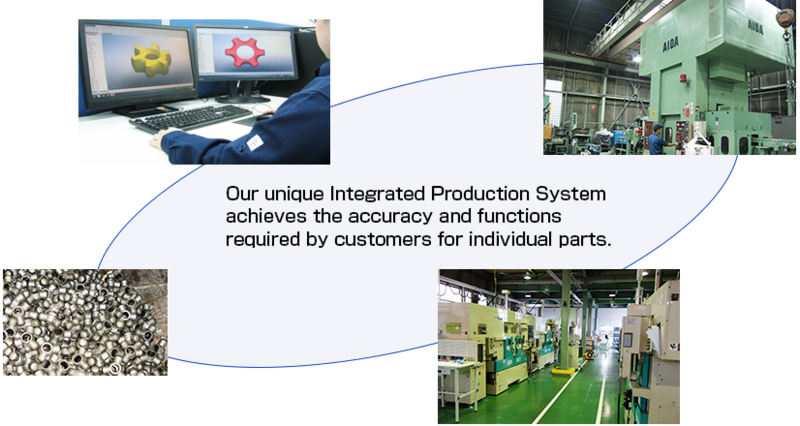 Our unique Integrated Production System can meet customer requirements for the accuracy and function of individual parts. 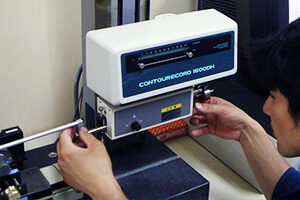 We achieve the accuracy and functions required by customers for individual parts. We design everything in the production process, from the selection of raw materials and the proper production process, to the finished product. We have worked hard to meet the needs of individual customers by streamlining processes and raising quality by the fully enclosed die forging of cold/warm forged auto parts and drivetrain component parts, which require higher intensity and wear resistance. At Nakatsuji Limited our goal is realizing the best match of forging and machining, in addition to perfecting forging technologies. The result is enhanced precision and reduction in cost. Unified control of production, sales, inventory, and purchasing, through bar codes. 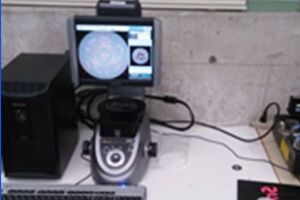 At Nakatsuji Limited, unified control of production, sales, inventory, and purchasing, by utilizing bar codes, has made for a speedy and precise production and sales control system. By this unique system, we have established quick and accurate traceability resulting in shorter lead times and enhanced quality. 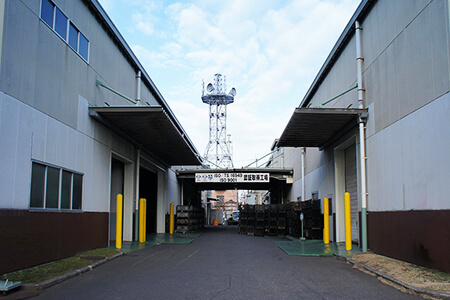 The Senboku Takasago Plant obtains ISO 9001: 2008 certification, as well as ISO/TS16949:2009 certification for the scope of manufacturing of forged and machined parts for CV joints. CVJ Parts (Inner Races, Tripods), Engine/Shock Absorber Parts, etc. Long Tube, Closer Pinions, Covers, Cams, etc. Crankshaft Gear, Straight Bevel Gear, Sampling Temperature Probe, etc. 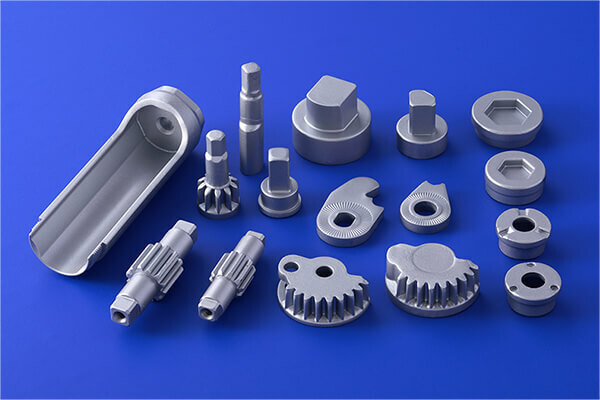 Nakatsuji precision forging parts are used in a variety of fields to make products safer and easier to use. Constant velocity joints allow a drive shaft to transmit power at a variable angle and at a constant rotational speed, without an appreciable increase in friction or play. A door closer should provide a smooth, controlled closing action to the door after the door has been opened and released. A modern rack and pinion door closer provides this function through a regulated hydraulic circuit within the closer. A riding lawn mower is used for large areas of turf. 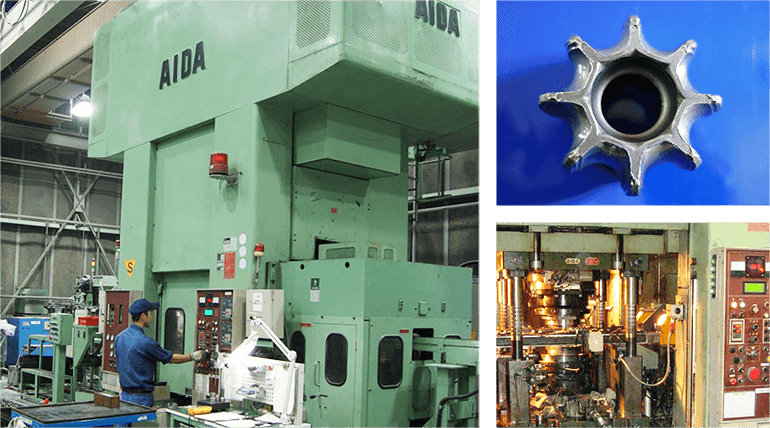 We provide competitive products with high quality and low costs, through Nakatsuji's unique Integrated Manufacturing System, from cold/warm forging to the finished product. We have achieved greater precision and a significant reduction in cost by controlling the entire process from forging to the machining finish and by making the best use of our precision technologies. 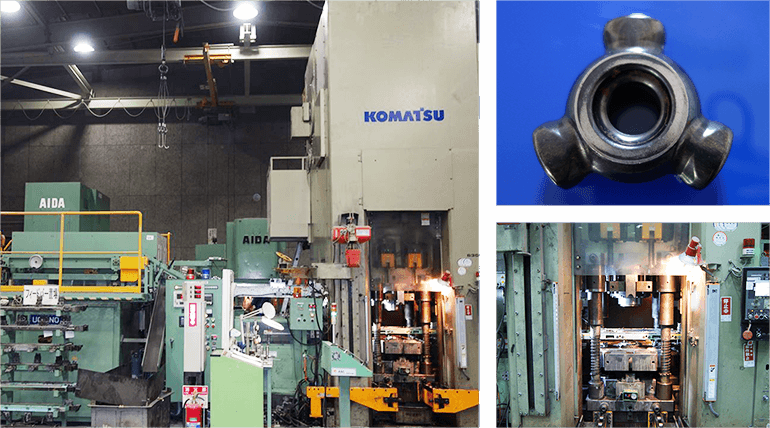 To make best use of Nakatsuji's precision forging technology, we take responsibility for every production detail of the supporting processes (Annealing/Cutting/Lubricating). ･Manufacturing of cold/warm forged auto parts, hydraulic machinery parts, and parts for riding lawn mowers. 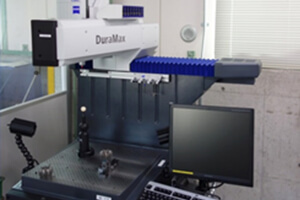 ･The Senboku Takasago Plant obtains ISO/TS16949:2009 certification, as well as certification for the scope of manufacturing of forged and machined parts for CV joints.